From producer David Heyman (HARRY POTTER, GRAVITY, FANTASTIC BEASTS AND WHERE TO FIND THEM). 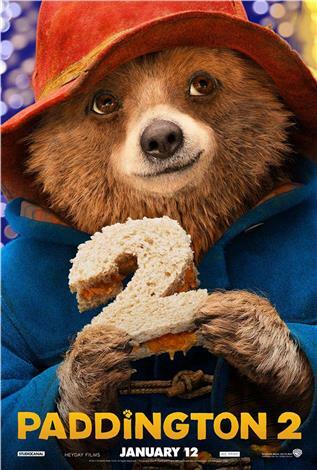 PADDINGTON 2 finds Paddington happily settled with the Brown family in Windsor Gardens, where he has become a popular member of the community, spreading joy and marmalade wherever he goes. While searching for the perfect present for his beloved Aunt Lucy's 100th birthday, Paddington spots a unique pop-up book in Mr. Gruber's antique shop, and embarks upon a series of odd jobs to buy it. But when the book is stolen, it's up to Paddington and the Browns to unmask the thief.